Nurses make up the largest part of America’s health care professionals. There are four times as many nurses as there are physicians and their contributions are integral to the delivery of safe and quality patient care. Though the general public recognizes nursing as a trustworthy profession, as evidenced by the results of a Gallup poll, very few understand the role of nurses until they are in need of care. Their continuous care determines the success or failure of surgical procedures, quality of life for patients needing long-term care, mortality rates for high-risk patients, and the recovery of health for patients warded in intensive care units. Face to face interactions between physicians and patients are limited to a few minutes daily, but nurses hold a primary role in using timely interventions and evidence-based practice, monitoring patients’ reactions to treatment, and using clinical judgment to make critical decisions to aid recovery. Nurses work in hospitals, medical centers, clinics, long-term care facilities and other health settings to provide round the clock care. They are the only health care professionals who provide this level of hands-on continuous care. According to the American Nurses Association, nurses perform physical exams and record health histories, administer medications, provide wound care, counsel and educate patients, promote health, make critical decisions, and use research to improve patient outcomes. The ANA’s overview of nurses’ responsibility is not exhaustive and certainly does not take into account the multitude of duties they perform on a daily basis to ensure patients have the best experience to improve their health and well being. The associate degree in nursing is a minimal educational preparation for licensure as a registered nurse in Idaho. Though it requires a longer preparation, more prospective nurses are going the route of the bachelor’s degree in nursing to improve their career outlook. Since the BSN degree features additional preparation in research and evidence-based practice, community and public health, nursing science, and leadership, employers have been giving preference to BSN graduates. Hospital employers, in particular, recognize the superiority of the research studies in the BSN program that give graduates the competencies to use evidence in practice. Nursing associations agree that the changing health care environment demands that registered nurses hold at least a baccalaureate degree to meet complex care needs. Since the Institute of Medicine proposed that 80 percent of the registered nurse workforce hold a minimum BSN by 2020, the number of BSN RNs has increased sharply. Similar recommendations from organizations and experts give spotlight to BSN nurses who have a competitive advantage. Hiring trends in the industry reveal that BSNs competitive advantage outweighs even ADNs with years of industry experience. Professionalism in nursing involves both education and experience. As the BSN becomes the gold standard in nursing, those who invest the additional time and money will reap the best rewards in opportunities, compensation, and career advancement. 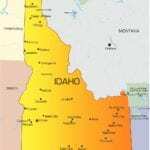 Following is a list of the various types of BSN programs available in Idaho. 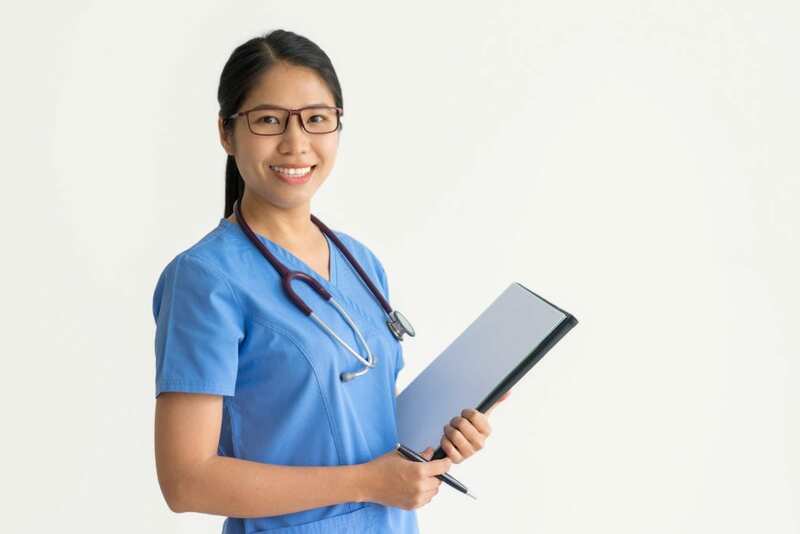 LPN to BSN: The LPN to BSN program offers an accelerated path for practical nurses to meet the requirements for a baccalaureate degree in nursing. The program will include bridge courses that will support advanced placement for qualifying students. Apart from the bridge courses, students must complete the clinical practicum, science, liberal art, and core nursing studies. Persons interested in enrolling in the program must have a Practical Nursing Diploma or Associate Degree and a license to practice as an LPN. Graduates will be required to sit the NCLEX for Registered Nurses to obtain a license to practice as an RN. RN to BSN: The RN to BSN program gives registered nurses the opportunity to continue their education in a flexible and convenient format. The transition program is designed to prepare nurses for the BSN degree in a manner that eliminates repetition of courses and experience covered in the associate degree in nursing program. Busy nurses can complete the requirements in just 5 semesters. Online delivery of content supports continued education without compromising work schedules and family commitments. Apart from a strong emphasis on liberal arts and sciences, nurses will gain additional skills to manage the complex needs of patients and populations. Traditional BSN: The traditional BSN program is designed for the beginning, self-motivated adult student to prepare for the practice of nursing. The curriculum is designed to deliver content that will enable students to assess, analyze, plan, implement, and evaluate care to prevent illness and promote health. It integrates knowledge from the humanities, physical and social sciences, research, and nursing theories and supports the development of the individual and family within the community. Upon completion of 120 credits of general education, nursing, and elective courses, graduates will receive a baccalaureate in nursing degree and will be prepared to sit the NCLEX to become a registered nurse. Fast-track BSN: The fast track or accelerated BSN admits students who already possess a baccalaureate degree in a non-nursing discipline. Graduates receive a bachelor’s degree with a major in nursing. The curriculum is designed to for the adult student to build upon previous studies in humanities and sciences to prepare for a career in the in-demand field of nursing. Professionals who choose this program typically do so for a career change. After completing the prerequisite courses, the requirements for the BSN may be completed in just three semesters of full-time study. Graduates have the educational preparation to take the NCLEX-RN for registration as a professional nurse. The BSN program helps students develop the critical thinking and communication skills, clinical experience, and leadership abilities to become valuable members of the health care team. The program requires completion of 120 credit hours of theory and clinical experiences. Graduates will be prepared for success on the nurse licensure exam to become a registered nurse. The curriculum requires completion of the general education requirements, which includes an emphasis on liberal arts and sciences, to prepare students for advanced studies in nursing. Key coursework includes lab practice to prepare students for the provision of nursing care in diverse practice settings. Full-time students can complete the core nursing courses in approximately 2.5 years. Prerequisite and general education courses will add another 1.5 to 2 years of study. At the program’s conclusion, students will have the knowledge and skills to work with a health care team to treat illnesses and support the restoration of health. The program requires participation in a clinical practicum. Placement will require completion of the facility’s prerequisites and may include criminal background clearance, immunization documents, CPR certification, and liability insurance. The accelerated or second-degree is ideal for adults seeking a career change. Applicants must have a bachelor degree in a non-nursing disciple. Due to the program’s accelerated pace, applicants must demonstrate competency to complete the program’s requirements. Coursework may be completed in approximately 15 months – not including the general education coursework (most of which would have been completed in the bachelor’s degree). The curriculum is organized in such as way as to avoid repetition. The theory and clinical course facilitate student involvement in the learning process and create opportunities for students to implement concepts learned in the classroom. Clinical reasoning, community and public health, management of care, research and evidence-based practice, and leadership are just some of the areas of study. The intense pace of the study requires a full-time commitment, so part-time or full-time employment is not recommended. Tuition for the BSN will cost a lot, compared with the ADN program, but it is an excellent investment in your career as a nurse. Nursing students will have to factor in the cost of pre-nursing courses, uniforms, health and background checks, insurance, and professional fees in addition to the cost of tuition and textbooks. Most of the costs will be covered during the first semester, so you should budget funds for the initial costs. At the conclusion of the program, you’ll have to cover expenses for graduation and taking the standardized exam for licensure as a registered nurse. BSN students typically receive some funding through scholarships, so seek out opportunities and apply early. The average cost of tuition per semester is $3,660 per semester for resident students at Boise State University. Book and supplies cost approximately $1,400 per semester. Here’s a list of Idaho Board of Nursing approved BSN programs and NCLEX-RN pass rates.